Foyer Gate 3- Custom made for your specific application to secure your foyer and protect the entrance to your front door. Foyer Gates are price based on the opening width and height. Foyer Gates come complete with adjustable hinge system, mounting hardware, locking cane bolt and Premium Slimline lock with 1" deadbolt. 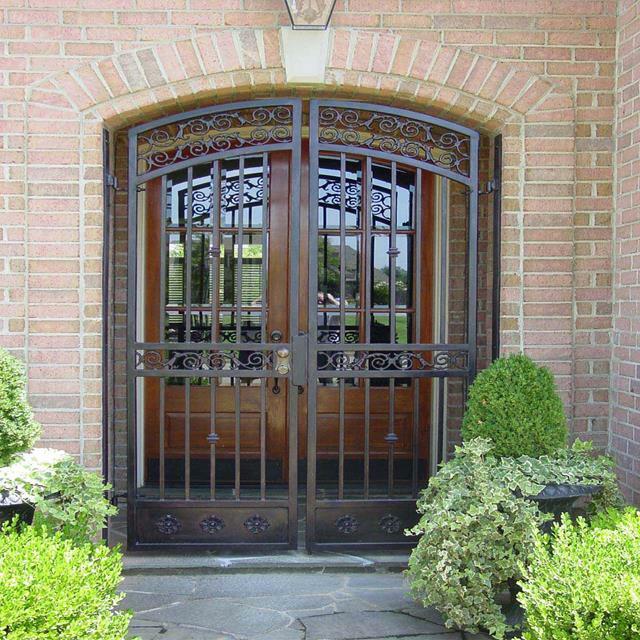 Gates are constructed of fully welded 16 gauge steel and aluminum or cast iron ornamental castings. Round top and Arch top gates are available. A pattern will be required for arch top gates. Call for a price based on your specific needs, Available in 4 lock finishes and 10 powder coated colors.